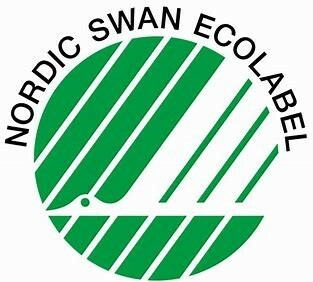 The Nordic Ecolabel or Nordic swan is the official sustainability ecolabel for the Nordic countries. ATIBT, COMIFAC, ETTF, UFIGA, GFBC, FIB co-signed a letter in response to this Nordic Swan public consultation. We resume below the essential. The consultation launched by Nordic Swan Ecolabel aims to ban a number of tropical timber species based on the CITES, IUCN and Rainforest Alliances lists. The criteria used seem questionable to us and do not justify prohibition decisions with such serious consequences for the timber sector. First of all, the lists of the various organisms mentioned above do not mean that the species are endangered or banned from export. The ATIBT Scientific Council (bringing together 17 leading scientists from Europe and Africa) and the ATIBT Forest and Industry Commission (bringing together specialists in the sector who have implemented responsible forest management practices) helped to draft this response. Thus, various ecological arguments were presented to Nordic Swan. One of the best protection against deforestation and biodiversity loss is the existence of a legal and certified timber sector, which generates income and employment while preserving the ecosystem functions of forests. Several recent scientific studies published in the famous journal Science Advances confirm this. Others by Gibson and al (2011) or the article by Putz and al (2012) confirm that sustainable forest management is the least damaging way of using forests for biodiversity. ATIBT strongly supports the sustainable management of tropical forests, and the protection of endangered species. It is, in fact, made up of certified companies (FSC and PEFC-PAFC) as far as forest operators members are concerned. It covers an estimated area of more than 5 million ha in Central Africa. For these certified forest companies, the protection of biodiversity is a major challenge. Management plans are validated on 60% of forest companies and that these plans are based on the inventory of species but also on the knowledge being acquired on the autecology of these species and more generally on the ecology of forest forests. With regard to CITES, not all timber species listed in Appendices I, II and III are prohibited from exploitation… To date, in Central Africa, no tree species are listed in this Annex I and those listed in Annex II may be exported if they have an export permit linked to the issuance of a non-detriment finding (ACNP). To date only assaméla/afrormosia (Pericopsis elata), bubinga (Guibourtia tessmannii and G. pellegriniana) and ebana (G. demeusii) are in Annex II. The IUCN list is merely intended to decide on the level of threat of a species, it is therefore not intended to be used to exclude species from trade, as is currently the case with the Nordic Ecolabel. The list drawn up by the Rainforest Foundation Norway recommends on its website to avoid all tropical wood, including wood not classified as threatened : this exclusion is difficult to understand for many species such as ilomba, okoumé or teak, which have a completely controlled exploitation and regeneration! The argument that none of the existing certification schemes or eco-labels guarantee that tropical timber is properly exploited is unjustified. Certification systems (FSC or PEFC) are powerful mechanisms for responsible forest management. The ATIBT therefore strongly called for a review of the selection criteria used to establish the list of prohibited species.